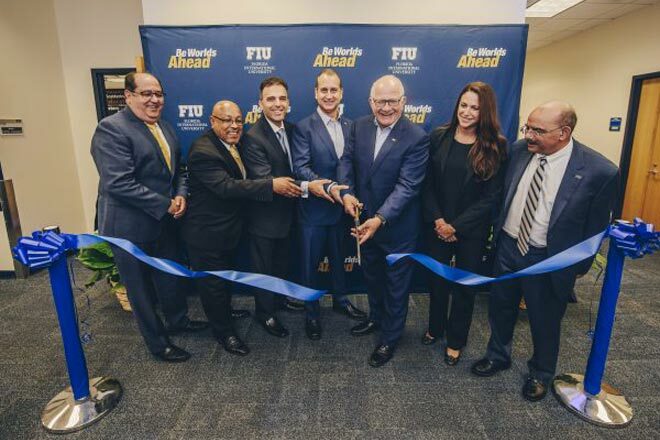 Giovanni Giannola, a graduate of FIU’s Department of Electrical and Computer Engineering , is now the owner of his very own start-up company called Globalesm, Inc. Giannola and his family migrated to Miami in 2009 where he completed his high school studies. 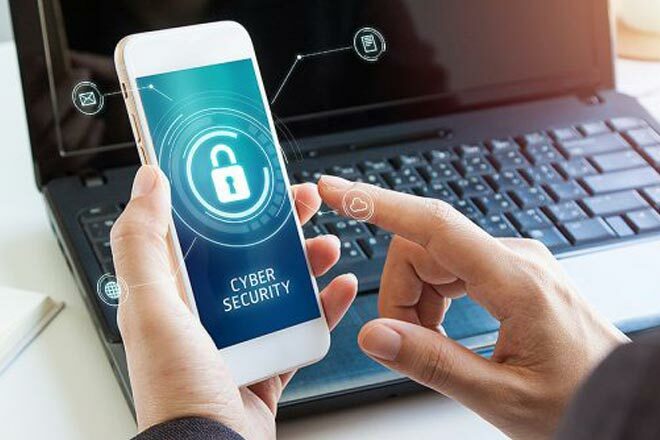 The senior design project called “Virtual Roll Call” has been awarded the 2018 IACP/Security Industry Association Michael Shanahan Leadership in Public/Private Cooperation Award. Kerlin interned at Amazon as a software engineer in their Amazon Web Services (AWS) division and worked on the AppSync Service. He got the internship by applying through the company website just like anyone else and going through the interview process! Antonio Rubio is an electrical engineering major. 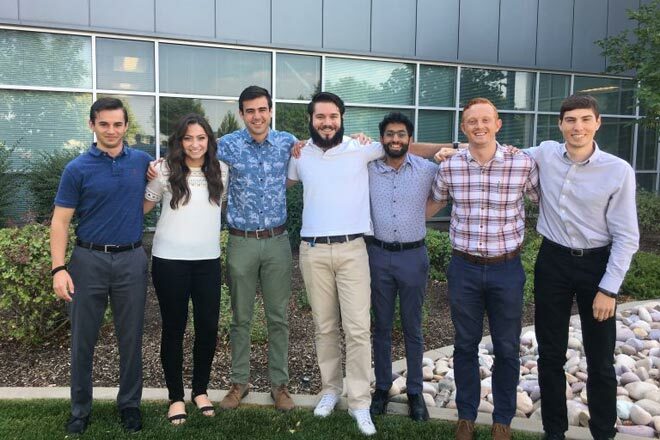 This summer, he did an internship at Northrop Grumman Corporation (NGC) in Ogden, Utah. His position title was electrical engineering intern. While there, he worked on the MEDL (Master Engineering Data List) Team in support of the Minuteman III missile system. 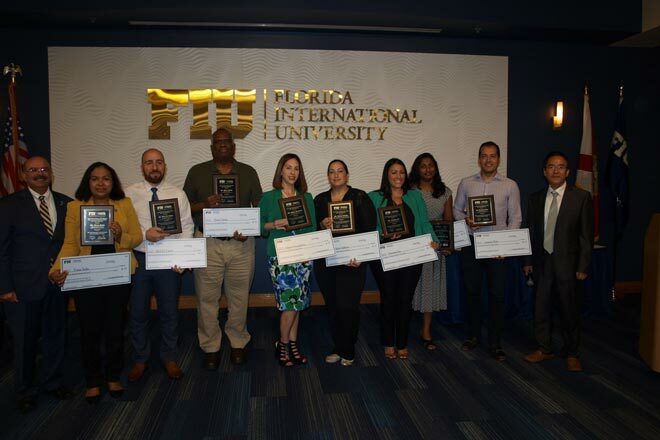 Congratulations to the 2018 Faculty & Staff Awards Winners By Nicole Hoyle. Day after day, our faculty and staff work tirelessly to ensure the success of our college. 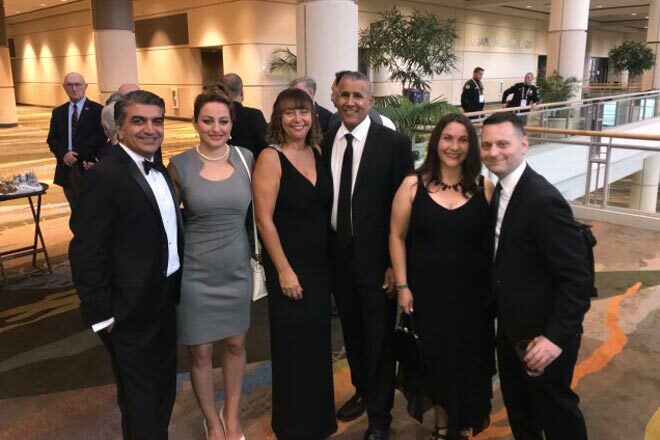 Each year, we take a moment to acknowledge their dedication; from the long days teaching to the long work nights to make sure everything gets done, our faculty and staff are second to none. 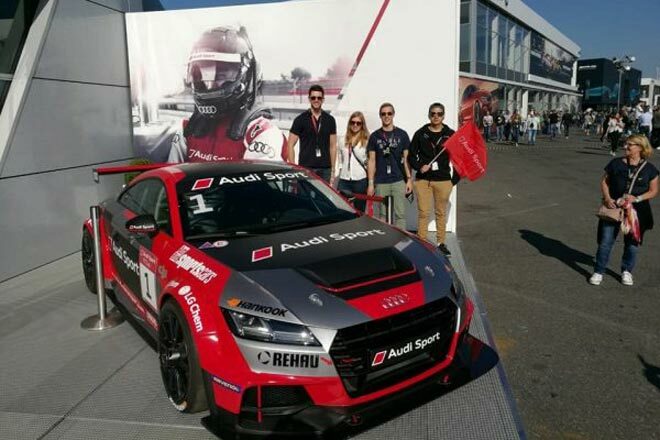 Jose Fernando Rojas-Sanchez interned at Audi AG (Lightweight Center) in Neckarsulm, Germany. He developed a method to measure and simulate the properties of carbon fiber at high-testing speeds, which helps design car structures that are lighter yet safe in case of a crash. 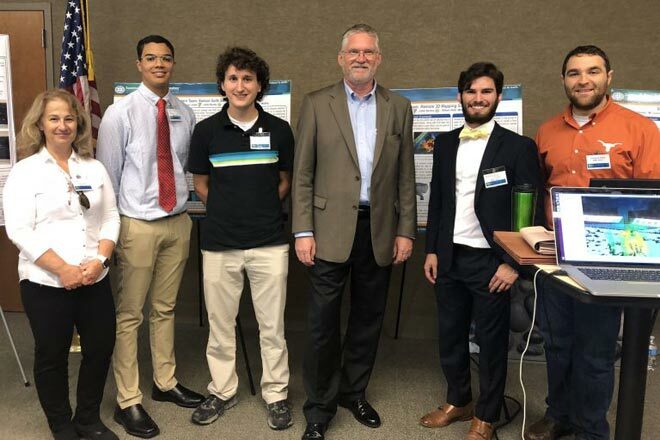 The Transforming Antennas Center (TAC) was recently launched thanks to a $4.8 million grant from the Air Force Office of Scientific Research (AFOSR). 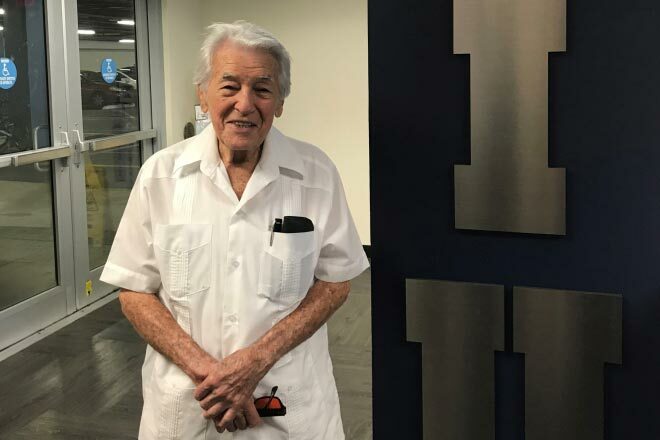 TAC was the vision of Stavros Georgakopoulos, a professor at FIU’s Department of Electrical & Computer Engineering. Manuel Losada interned at the Savannah River National Laboratory. 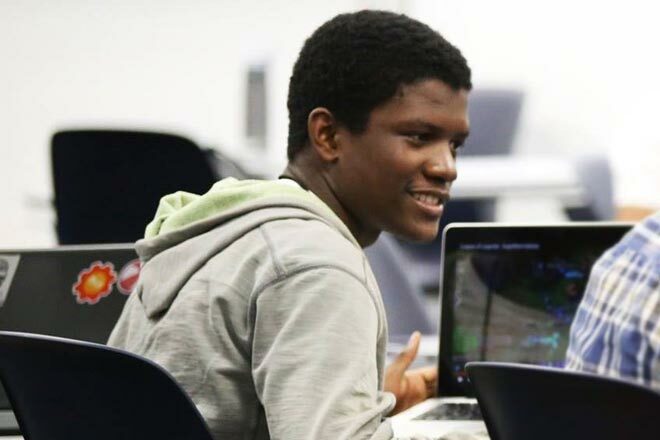 He is an electrical engineering undergraduate student at FIU’s Department of Electrical and Computer Engineering. 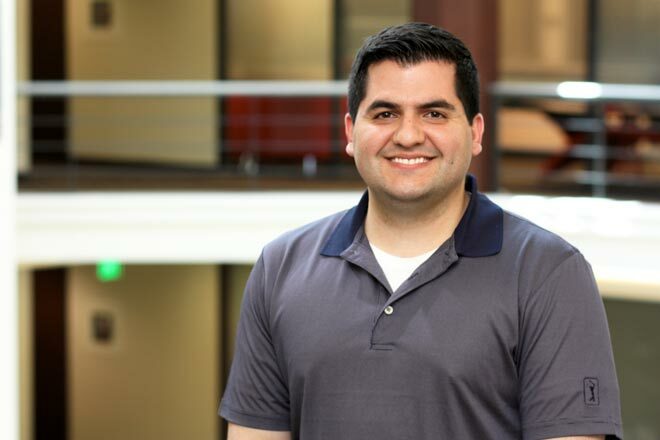 Manuel got his internship by applying to the Minority Serving Institutions Partnership Program. 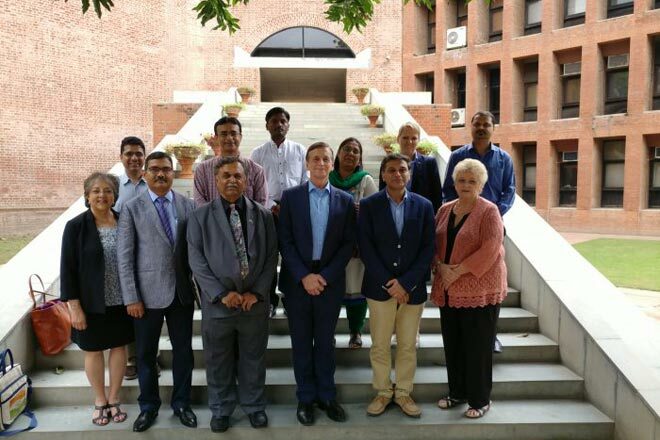 As part of India’s Smart Grids Innovation Challenge, FIU, in partnership with the Indian Institute of Management Ahmedabad (IIMA) has been awarded a $400,000 grant for two years to develop algorithms and software-driven infrastructure to help develop India’s peer-to-peer energy transferring platform. 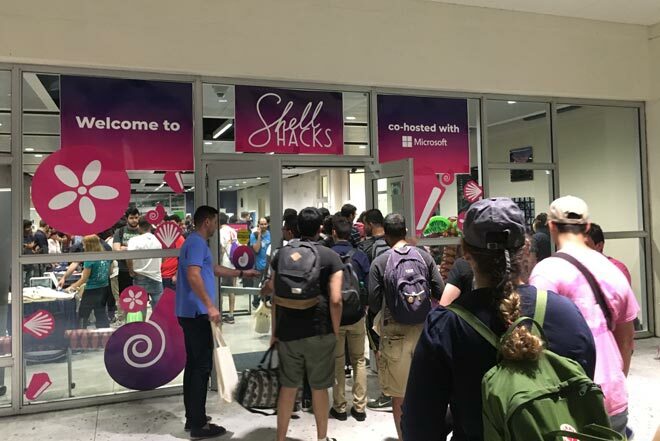 Shell Hacks, the FIU School of Computing and Information Sciences (SCIS), Upsilon Pi Epsilon (UPE) and Microsoft cosponsored the 2018 fall hackathon which took the University by storm on Friday, September 14, 2018.